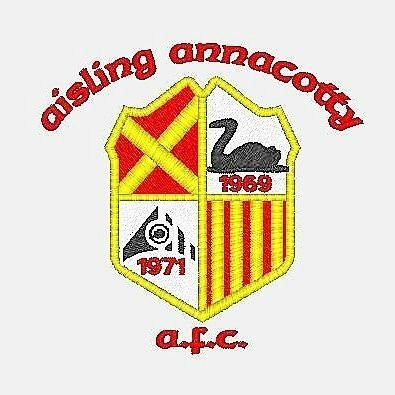 Aisling Annacotty AFC was formed in 1971 and is located in Annacotty, Co. Limerick. The club has a membership of over 900 juvenile and adult players with over 100 volunteers, making it one of the largest clubs in Munster. The club has over 60 competitive teams in Ladies, Junior, Mens and Schoolboy/Schoolgirl grades. The club caters for children from 5 years of age upwards in the clubs football academy. Teams also train weekly on the club’s FIFA 2 Star all weather facility in Annacotty. The club has strong community ties in the Annacotty, Monaleen, Castletroy and Lisnagry areas, and has a continually growing membership in an area that has seen significant growth in population over the last number of years. In recent years the club has also developed ties further afield throughout Ireland and the UK. The club’s home pitch is in Annacotty, Co. Limerick, where in addition to the main grass pitch, there is a FIFA 2 Star full size all weather pitch, dressing rooms and meeting room. The club also has a further playing facilities in nearby Killonan, Newtown Park & University of Limerick.